Synopsis La La Land is more than the most acclaimed movie of the year — it's a cinematic treasure for the ages that you'll fall in love with again and again. Emma Stone and Ryan Gosling star as Mia and Sebastian, an actress and a jazz musician pursuing their Hollywood dreams — and finding each other — in a vibrant celebration of hope, dreams, and love. 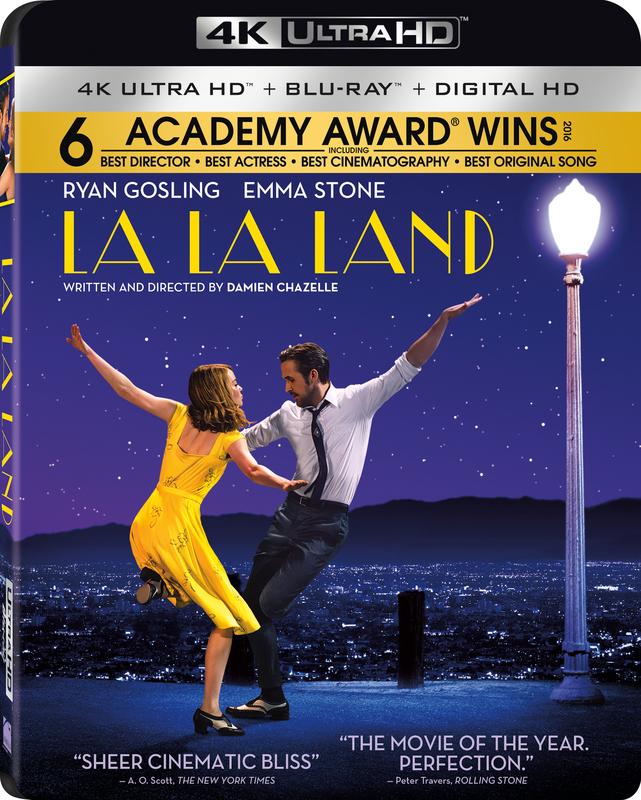 The 4K Blu-ray and Blu-ray of La La Land will feature a Dolby Atmos soundtrack remixed specifically for the home theater environment to place and move audio anywhere in the room, including overhead.